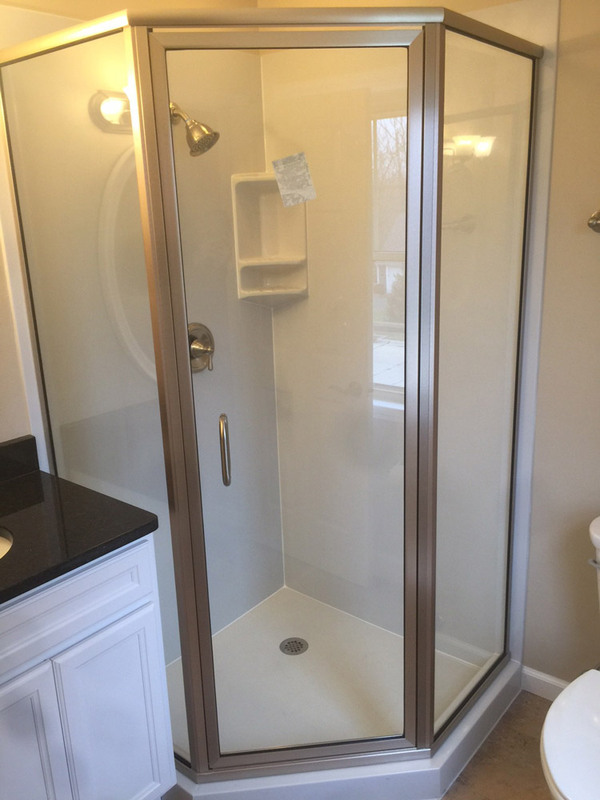 Every project is custom and every customer is unique. 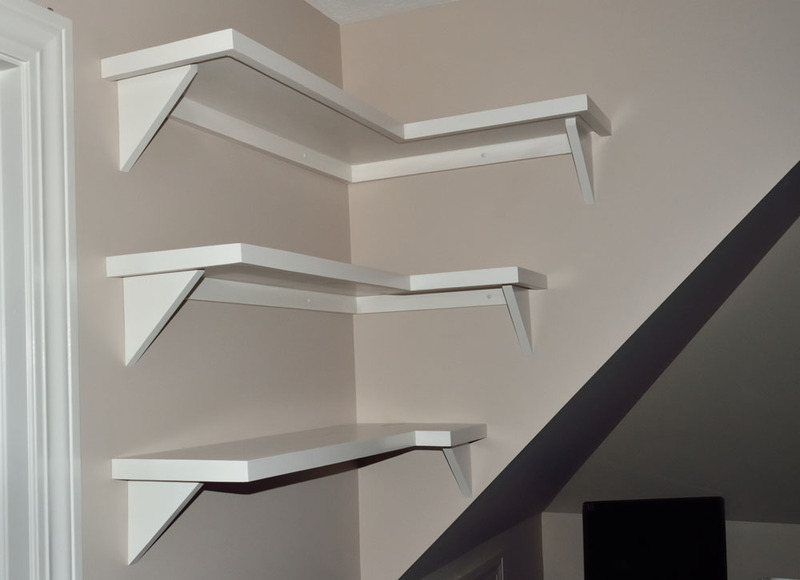 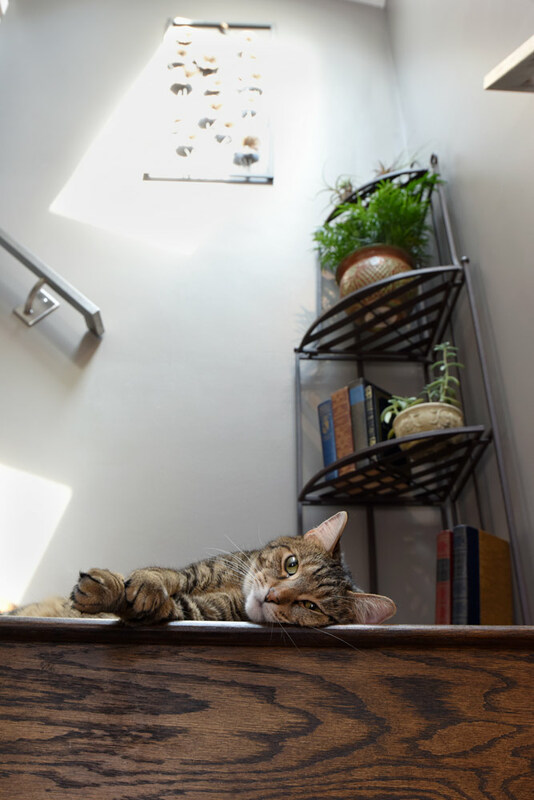 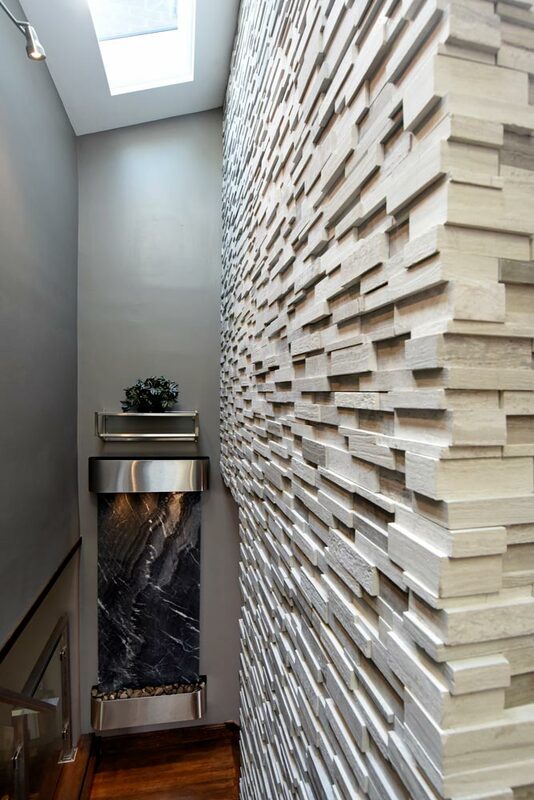 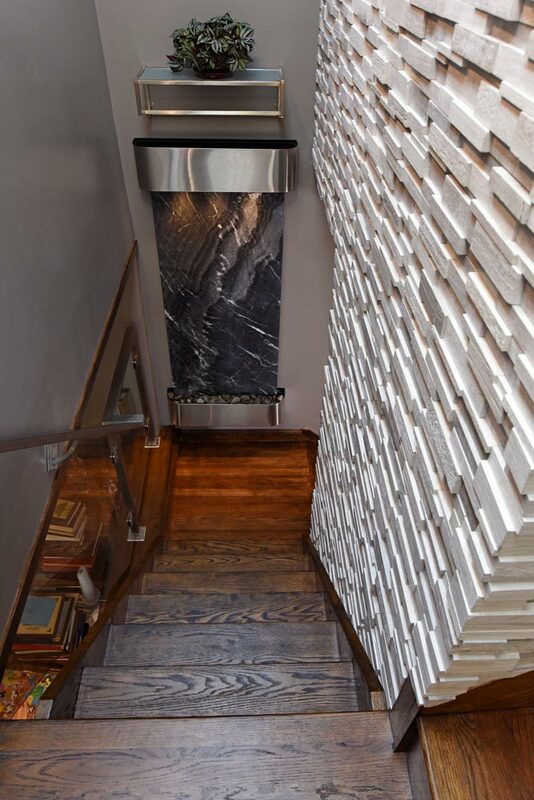 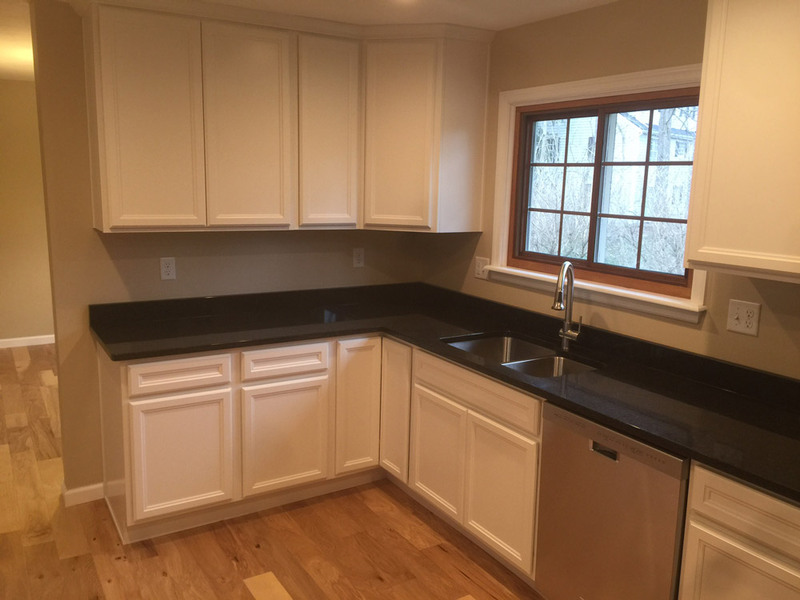 But every once in a while we come across a customer who needs us to sharpen our pencils and come up with a unique way to fix a problem, renovate an outdated portion of their home or overcome an obstacle in design. 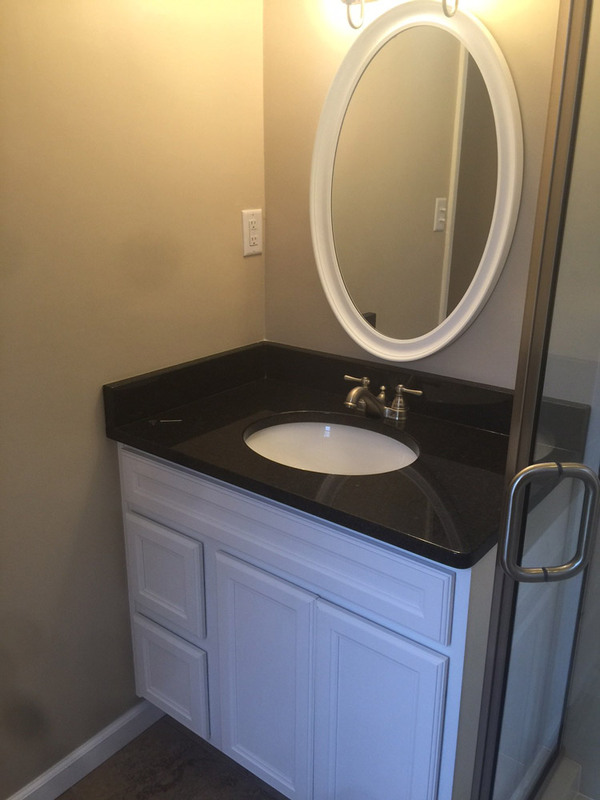 These are the projects that make us shine! 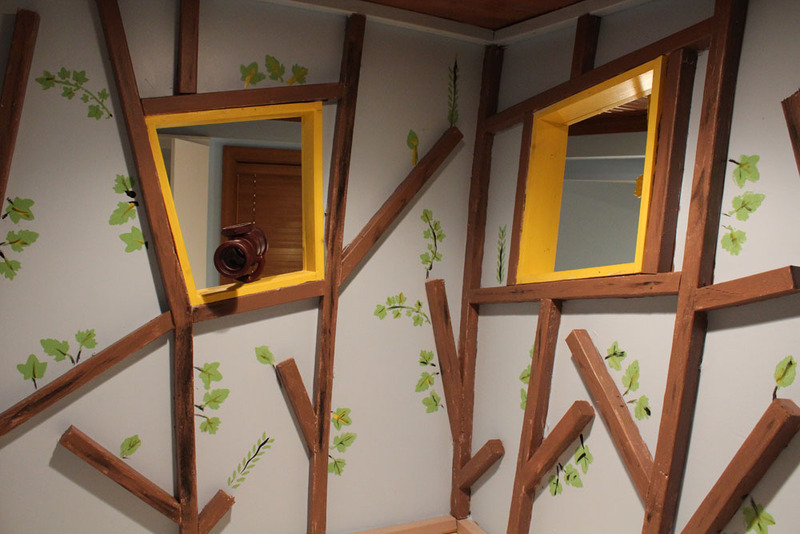 From indoor tree forts, to fireplace installations and everything in between we can work with your vision and make it a reality! 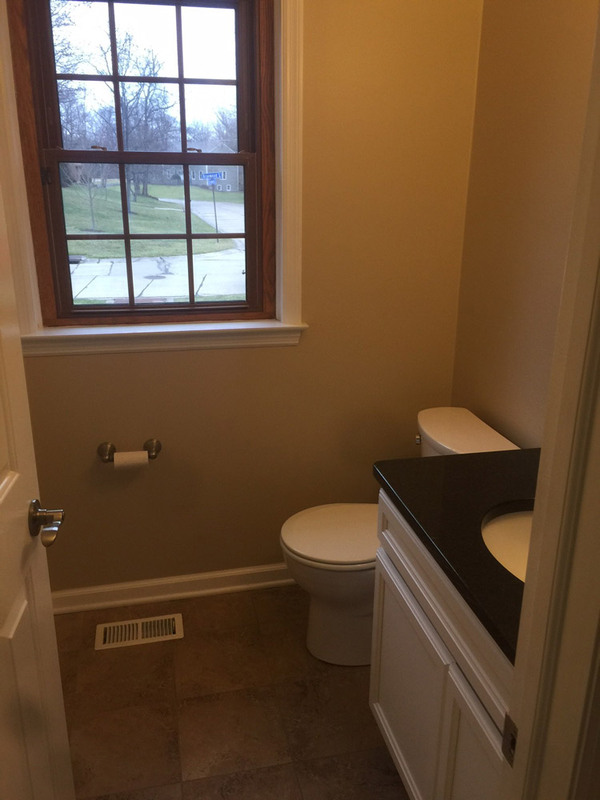 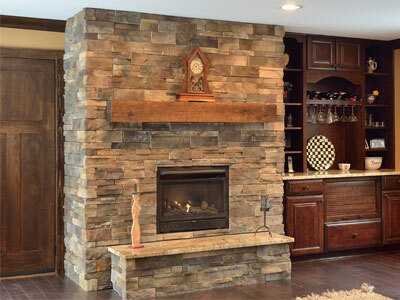 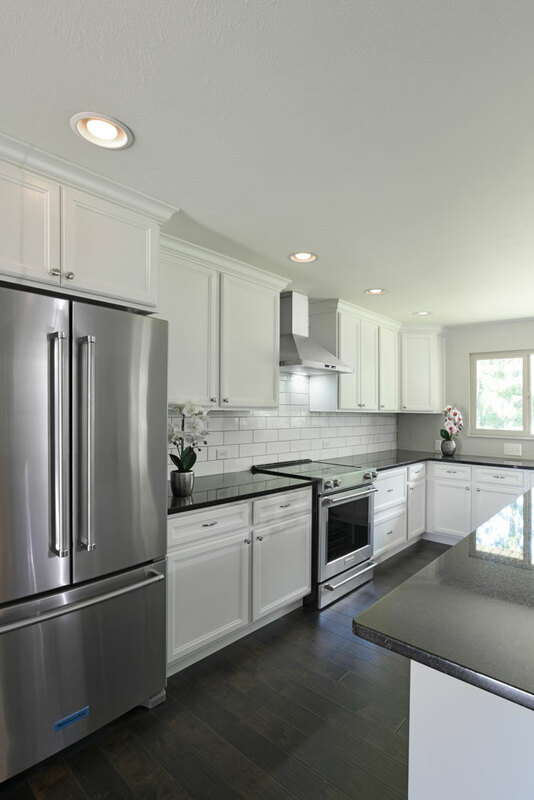 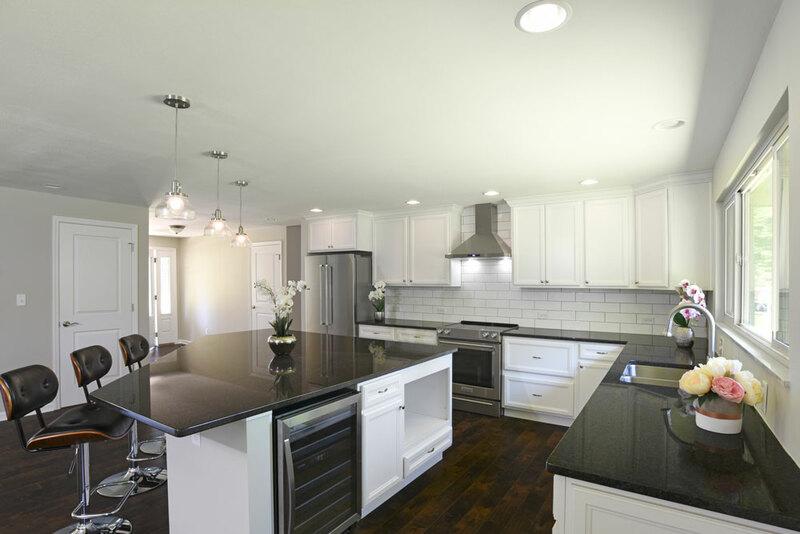 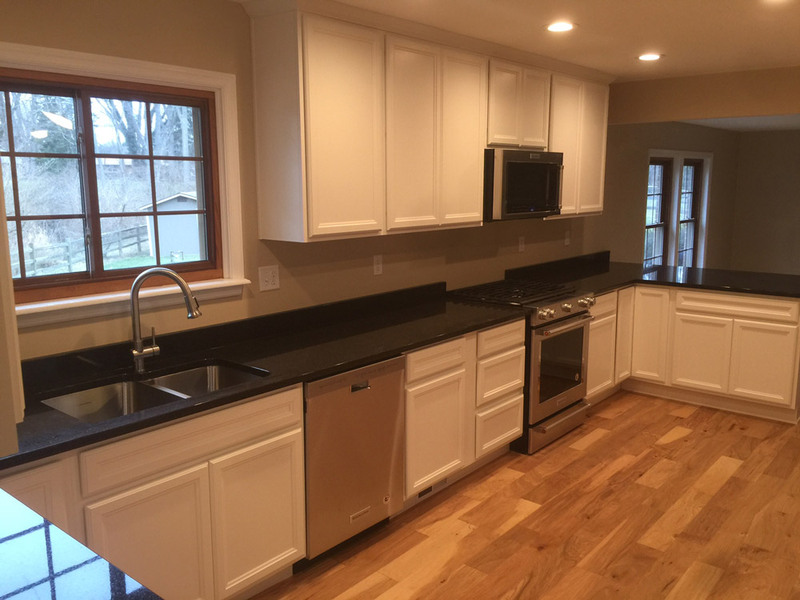 Below are just some of the Custom Construction projects we've done in Oakwood, Kettering, Centerville, Bellbrook, Vandalia, Beavercreek, Springboro, Miamisburg, and Yellow Springs. 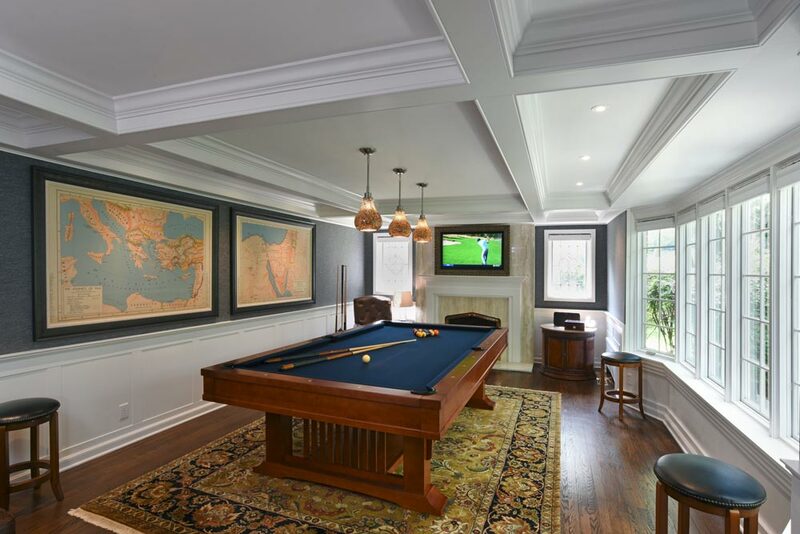 This living area turned classic billiards room is now the perfect room for entertaining your guests. 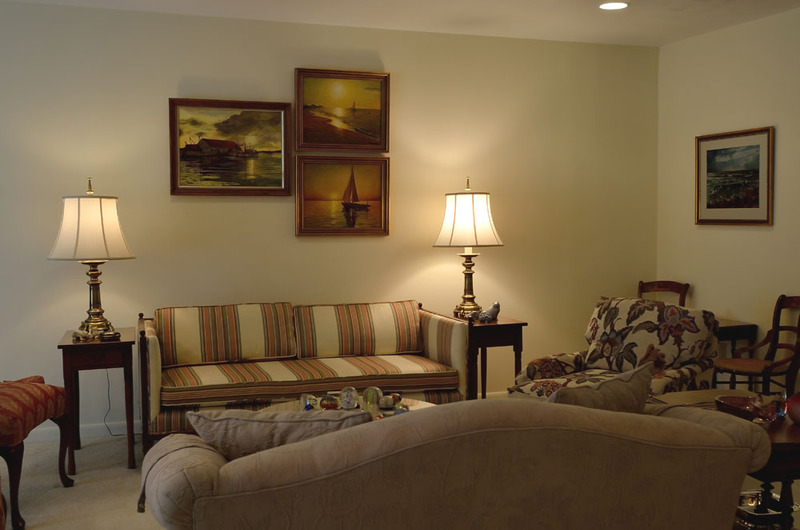 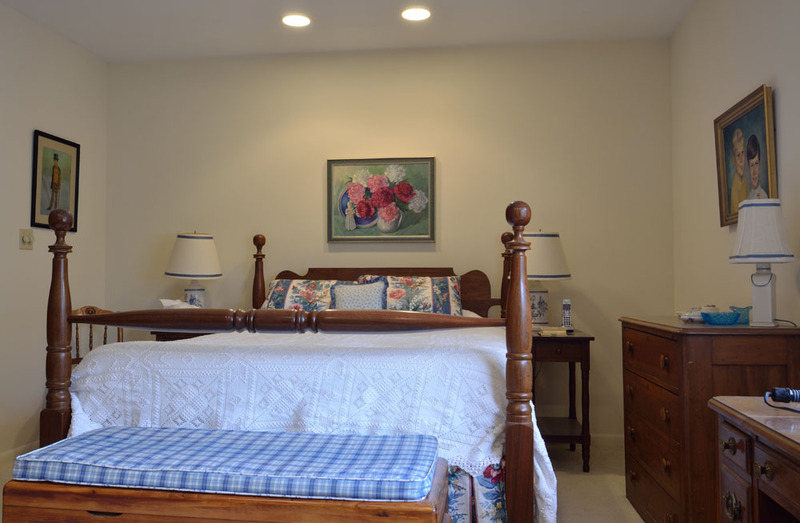 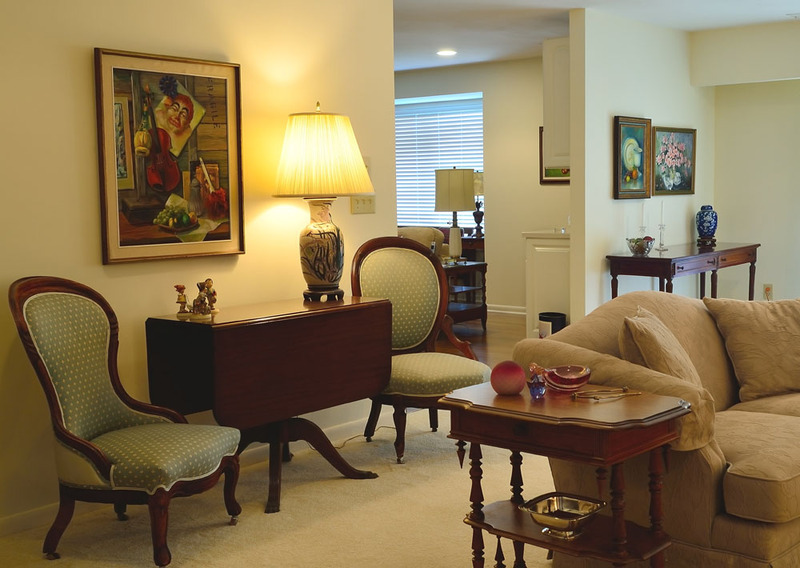 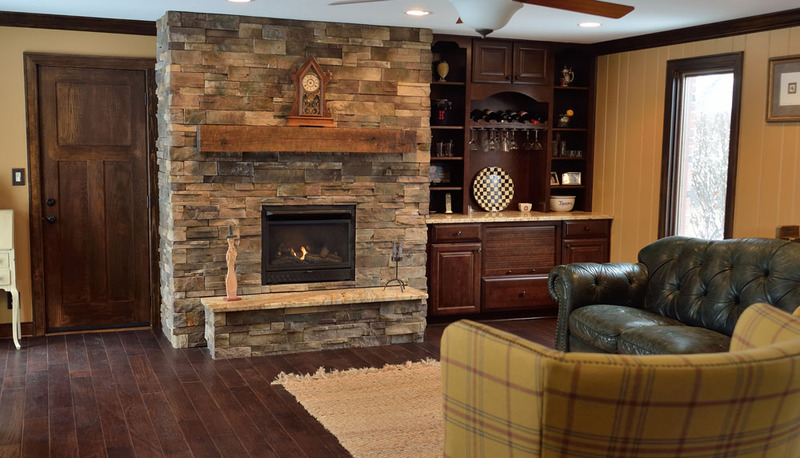 From custom woodworking, such as the wainscoting and ceiling beams, to the remote operated lights and window shades, this room now has a vintage feel with all the modern conveniences one would want. 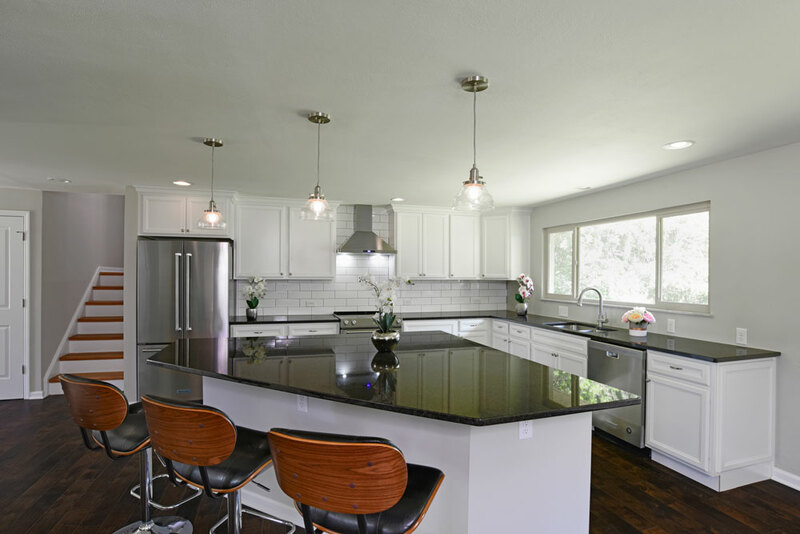 This once cramped floor plan has been completely re-imagined with a newly constructed kitchen taking the space where a living room once dwelled. 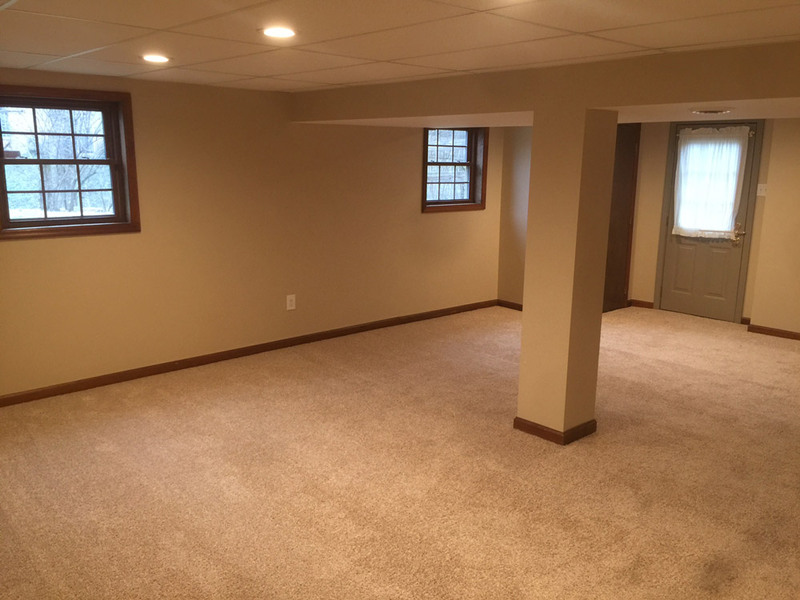 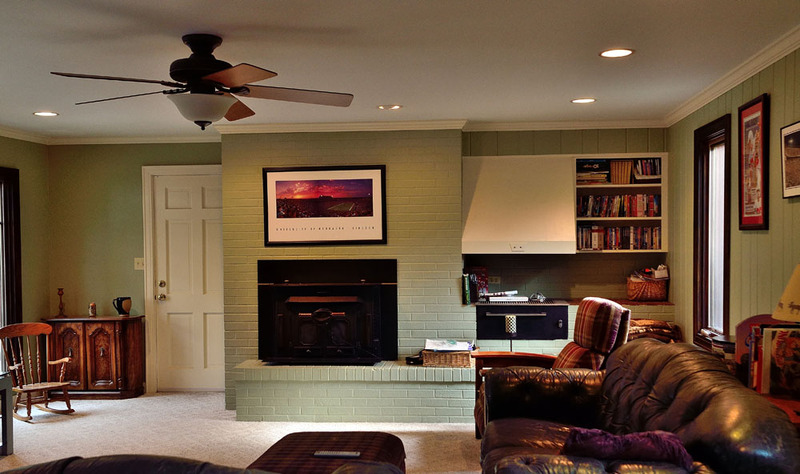 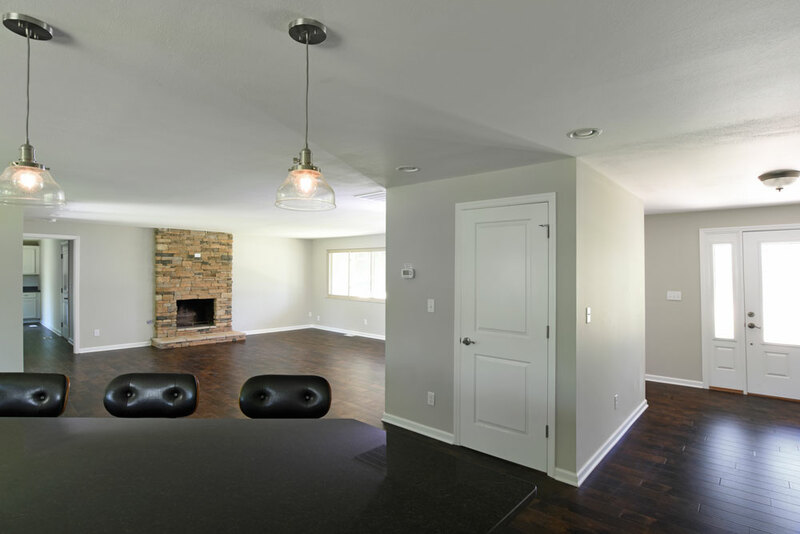 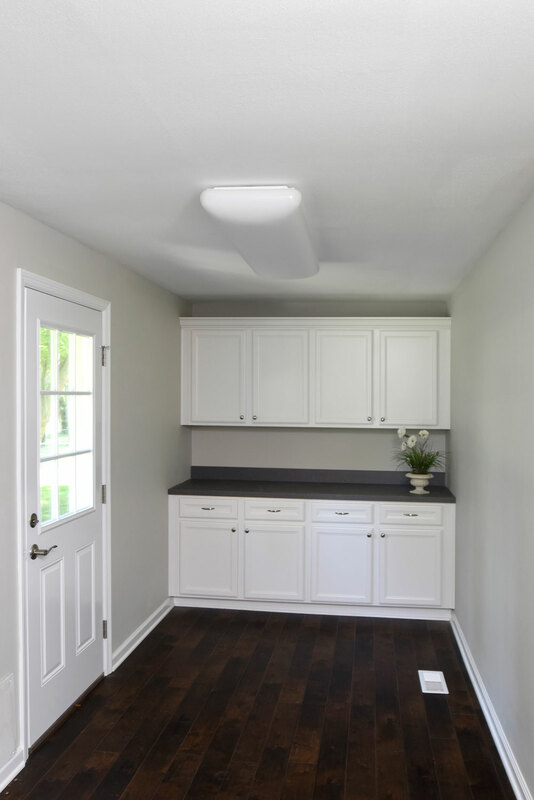 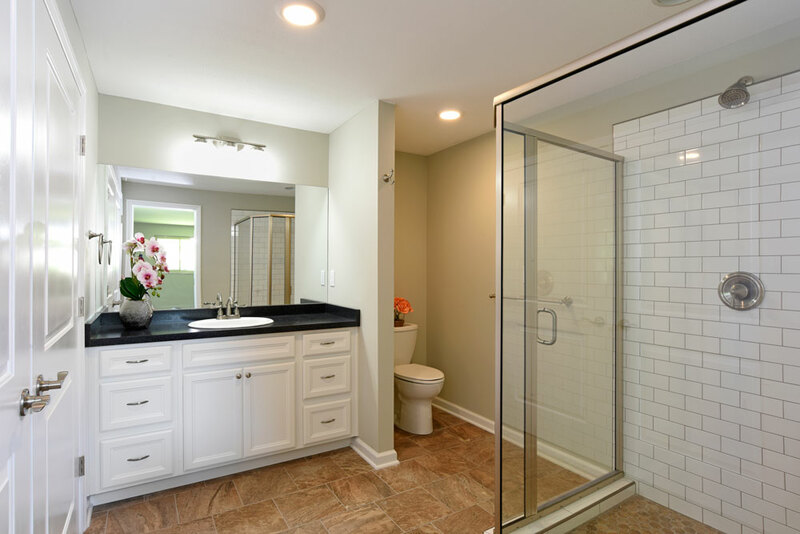 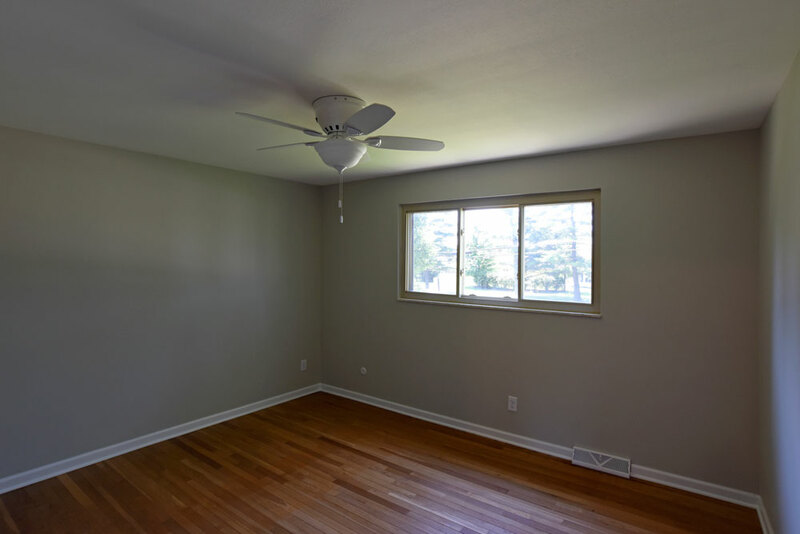 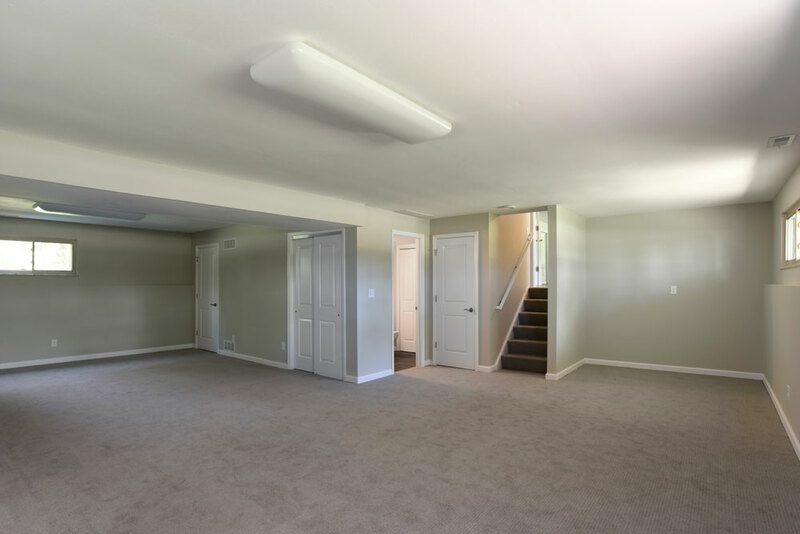 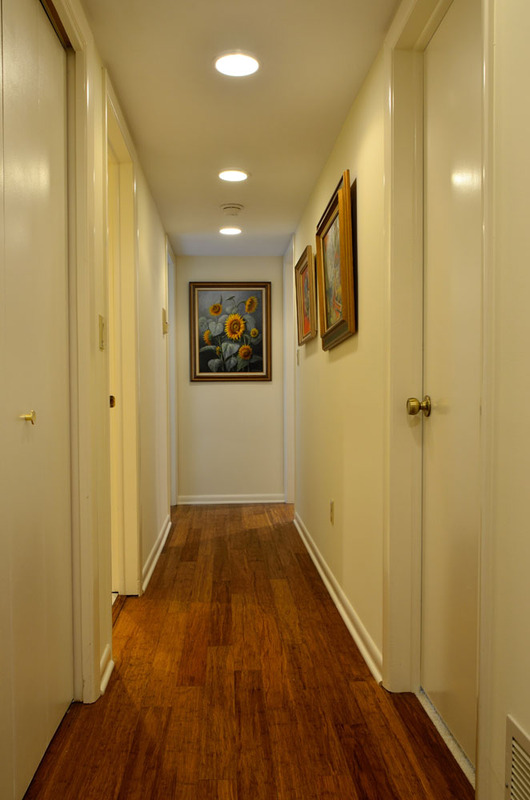 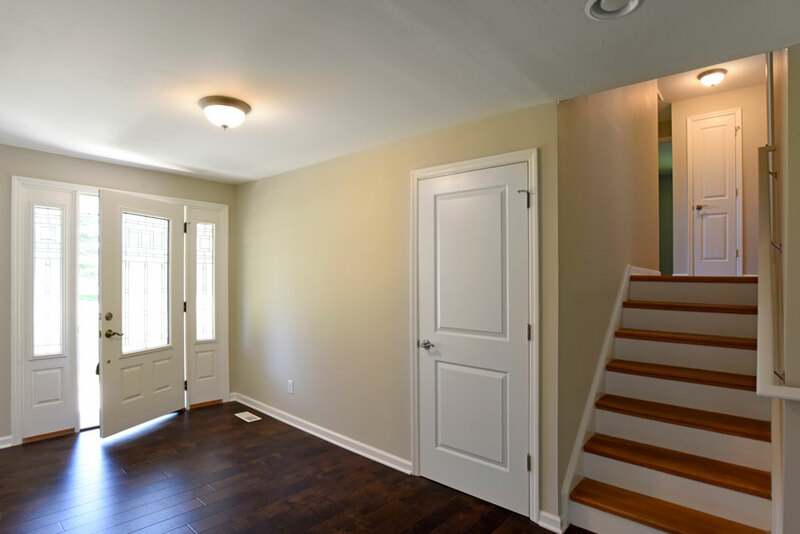 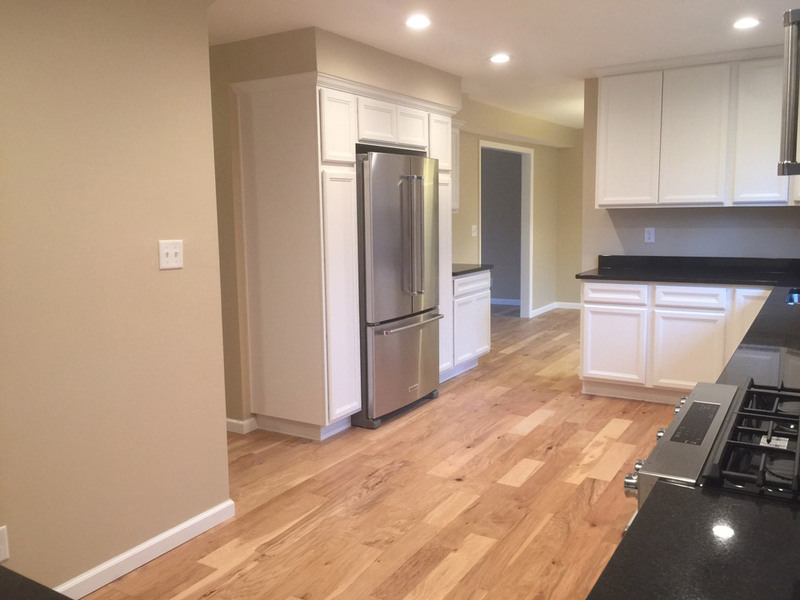 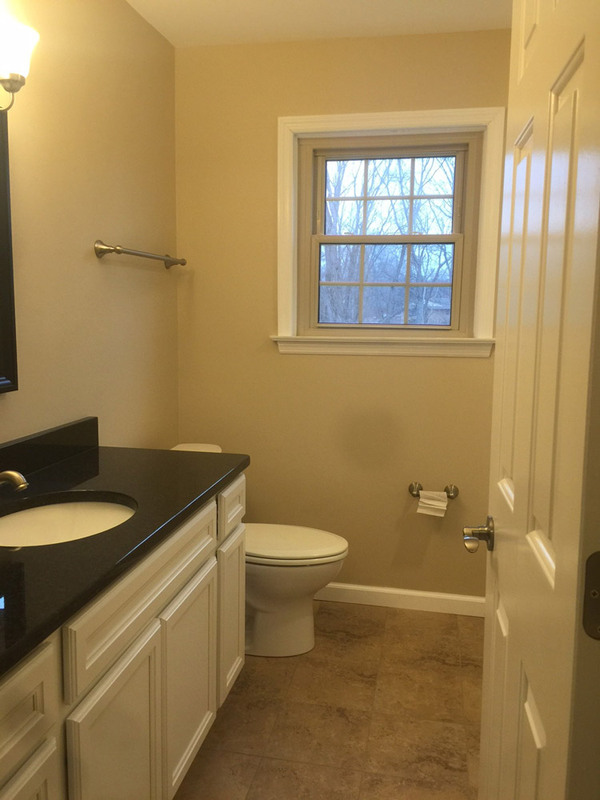 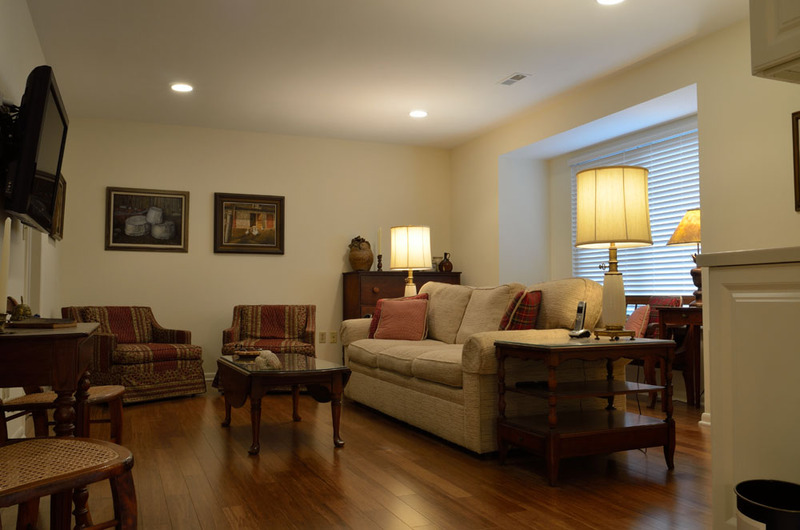 This 'fix and flip' house was created by adding new flooring as well as a complete overhaul of the basement, 2 half baths, one full bath and the master bath. 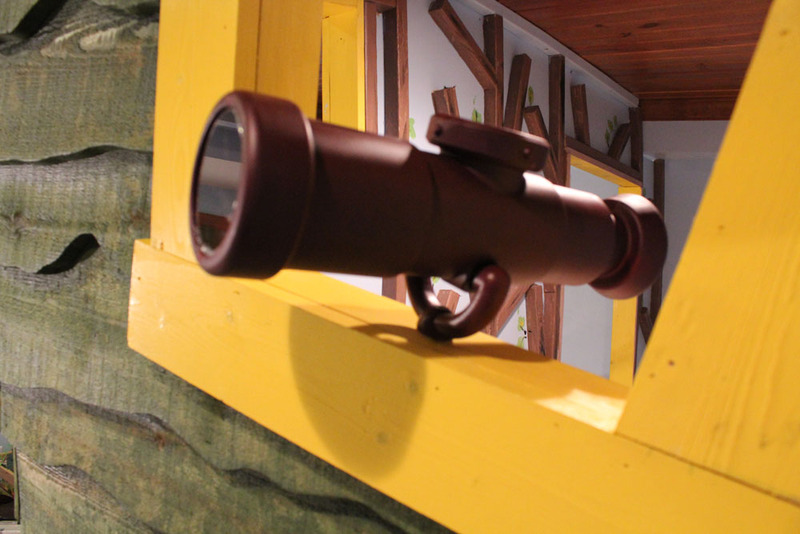 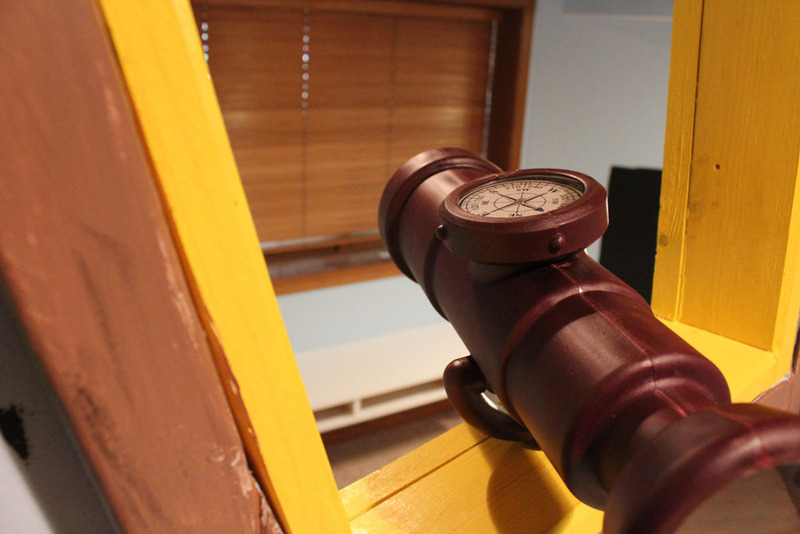 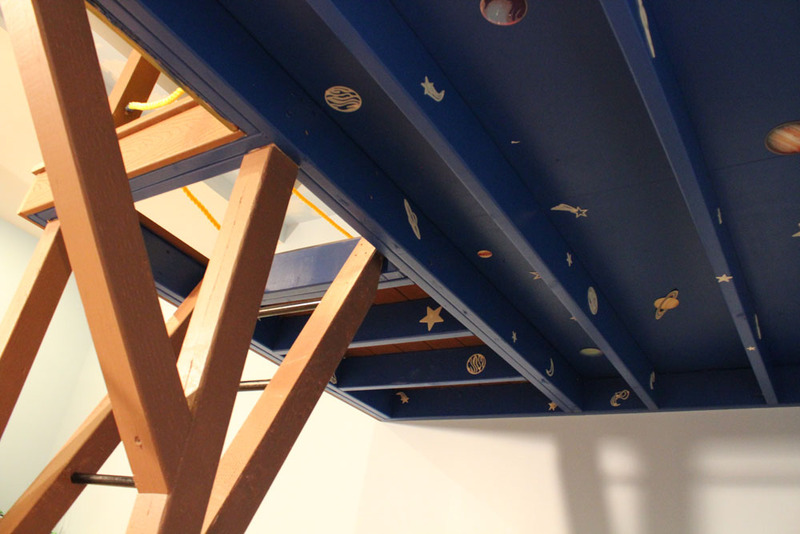 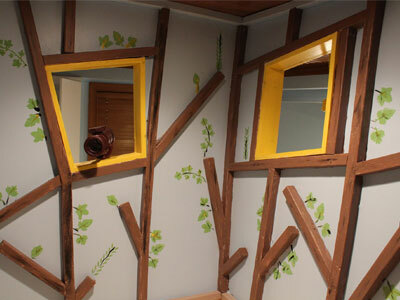 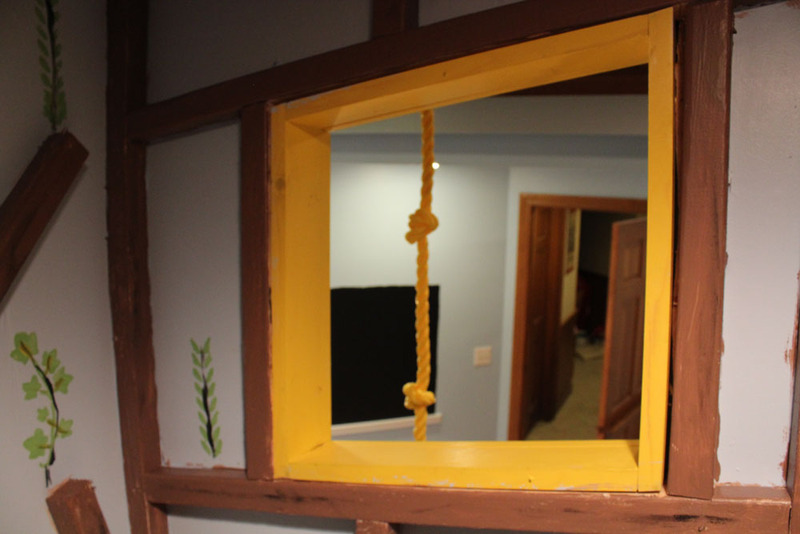 An indoor children’s playhouse where the client’s gave us total creative freedom. 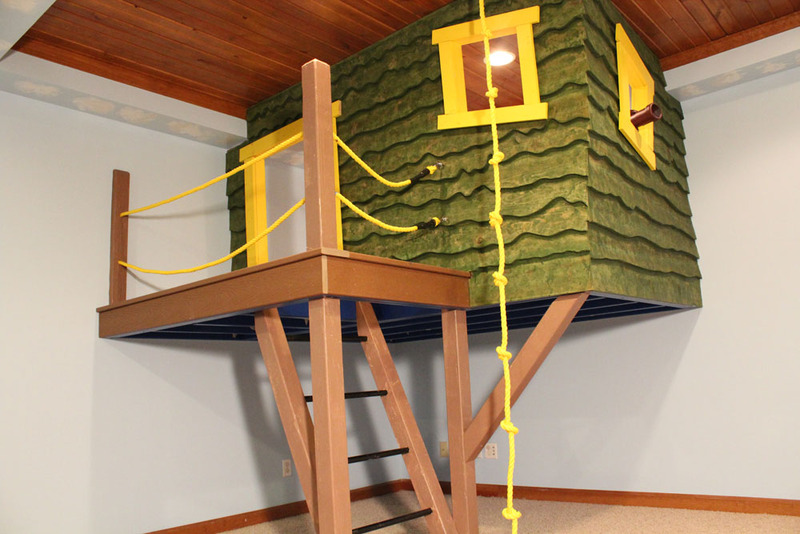 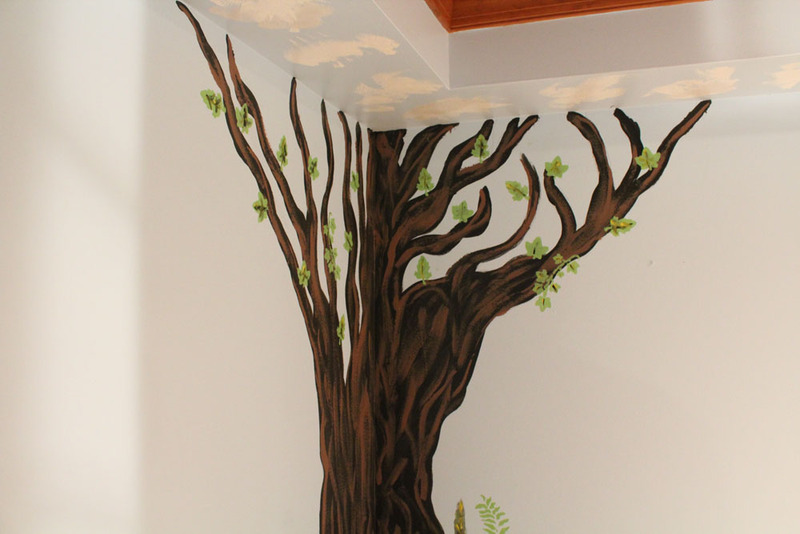 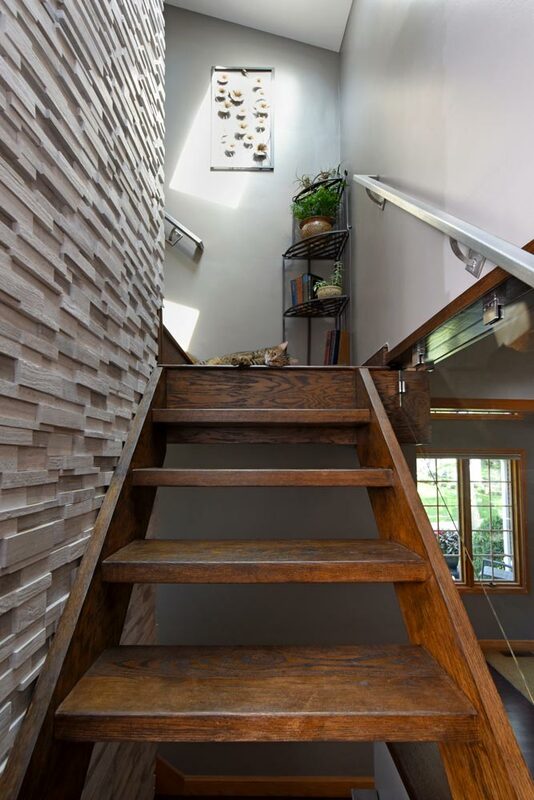 The concept behind this design is to bring a treehouse into a basement. 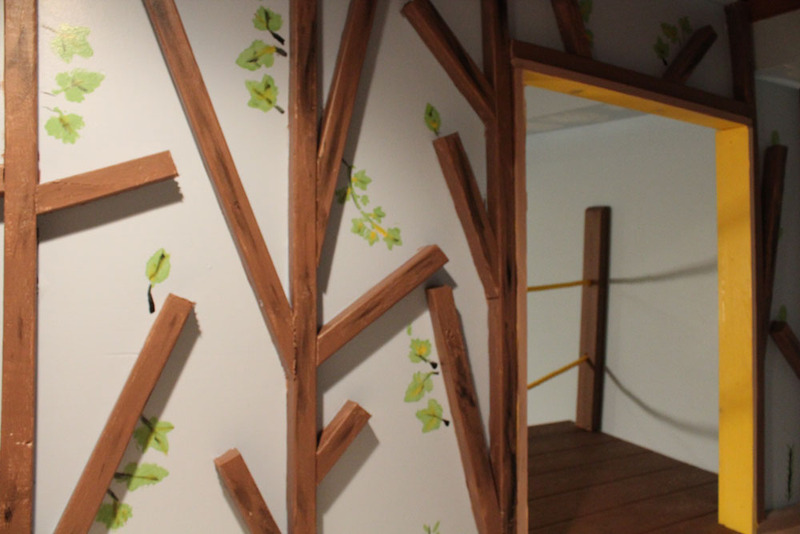 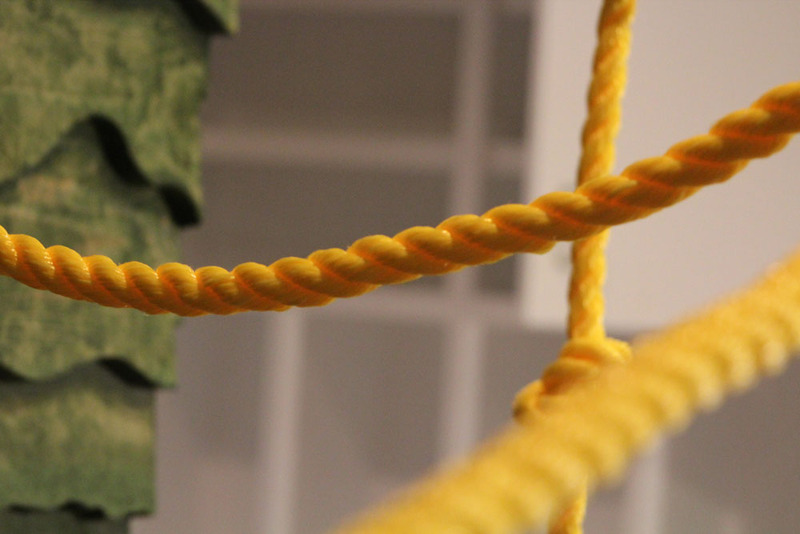 Intentionally purchasing warped lumber and leaving certain aspects out of square gives the idea of a treehouse built by kids who have scavenged lumber. 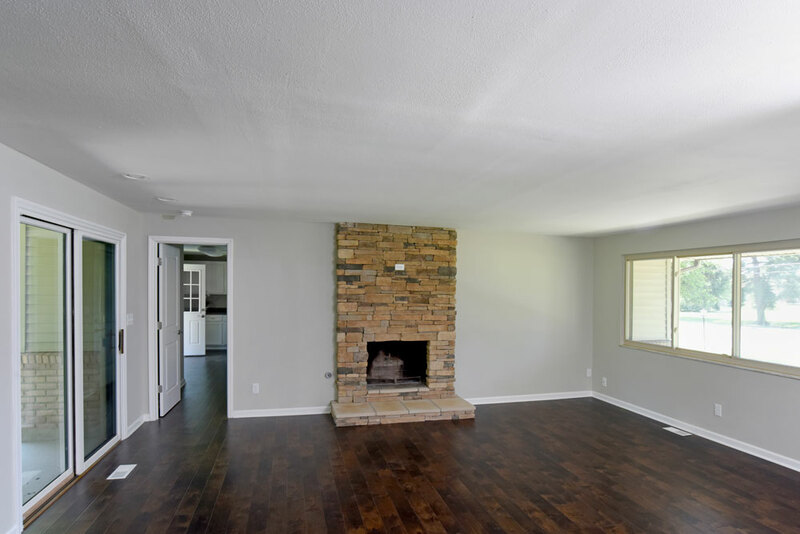 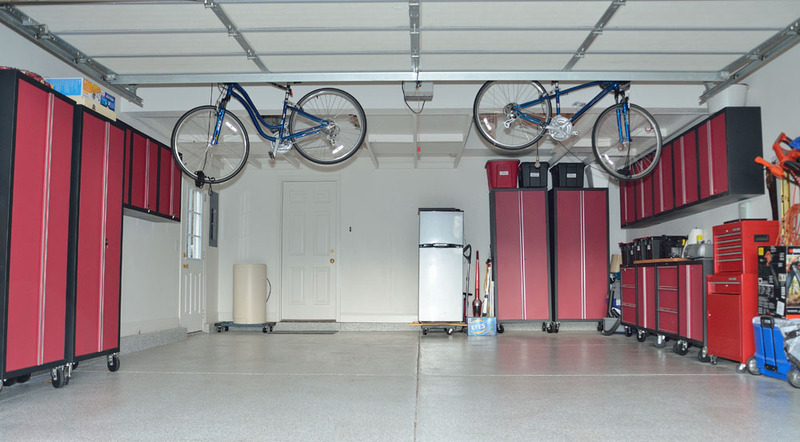 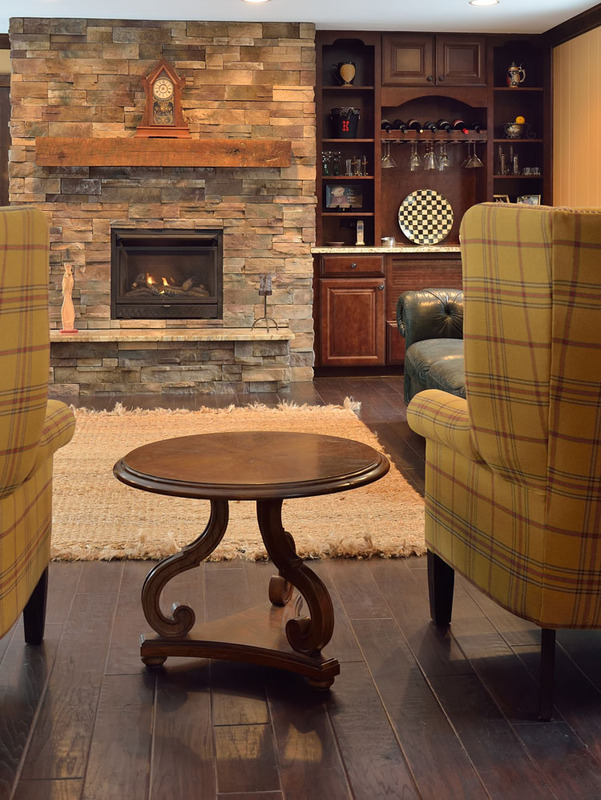 The heated scraped wood floor and gas fireplace has turned this once cold garage into a toasty place for family movie night. 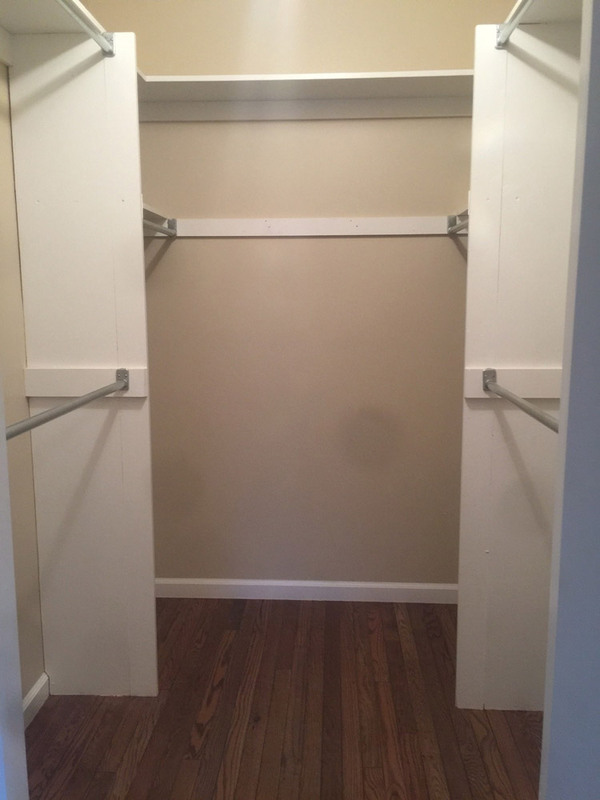 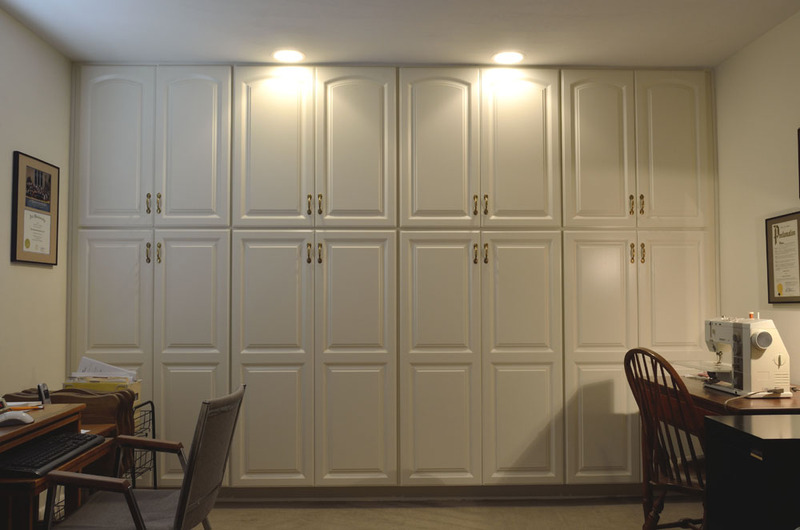 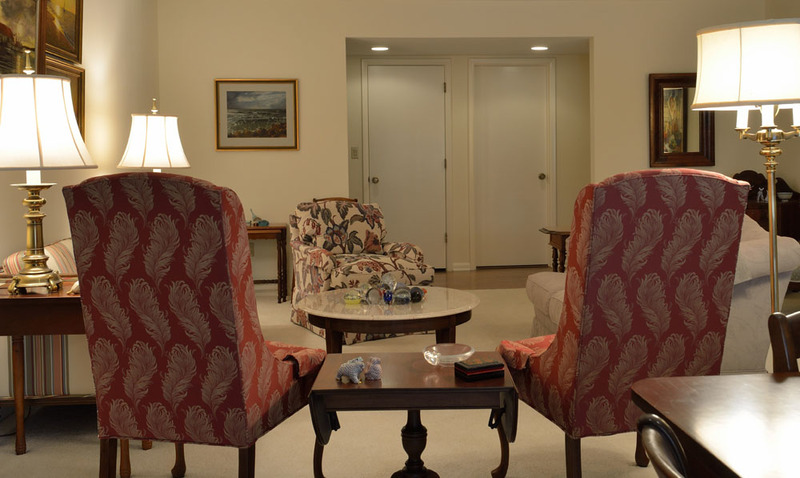 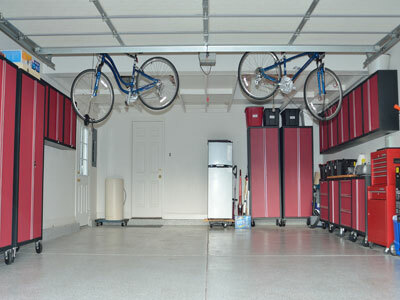 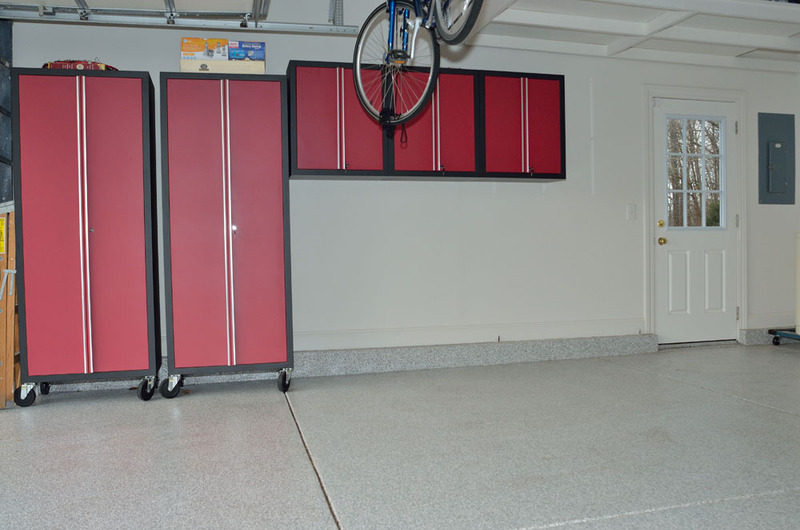 Customer’s dream closet made to specificationincludes a retractable built-in ironing board. 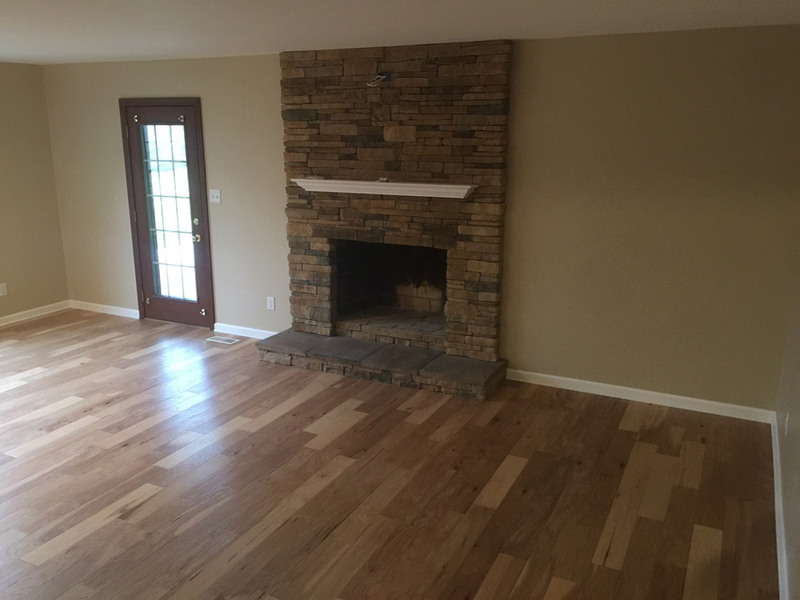 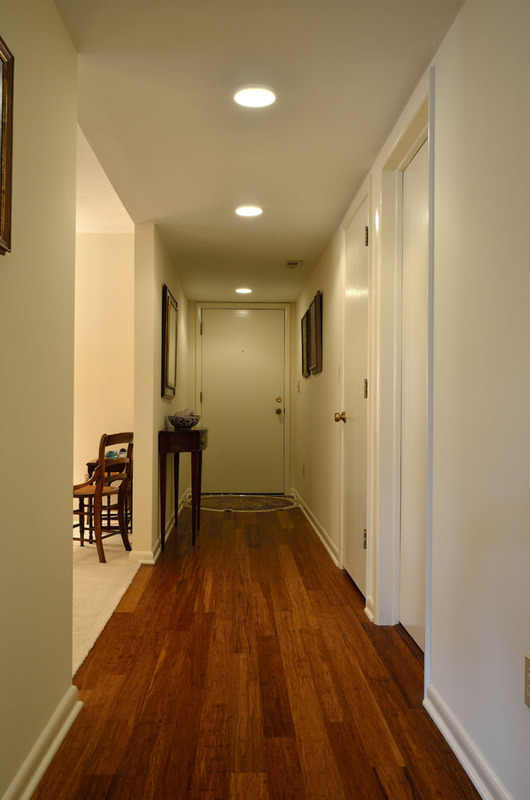 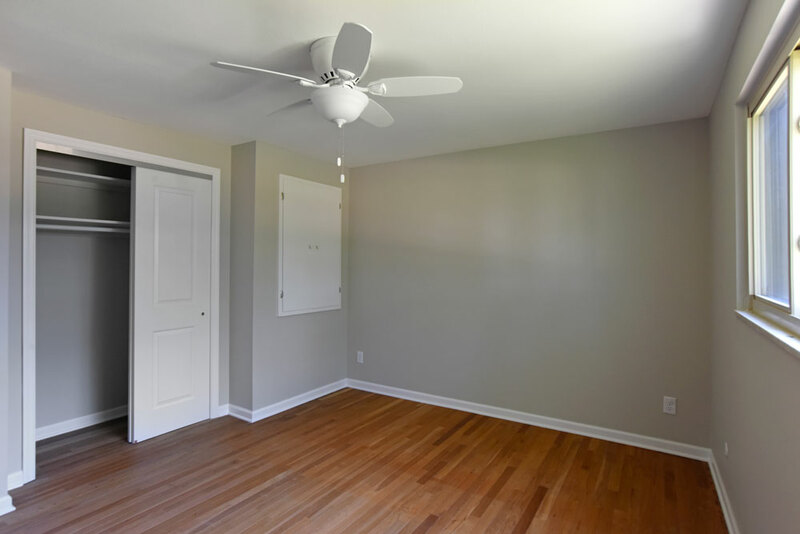 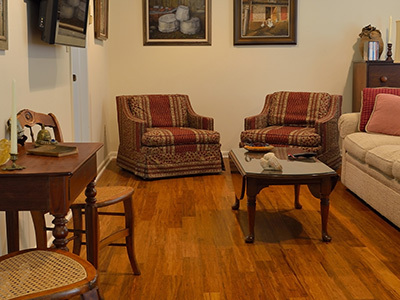 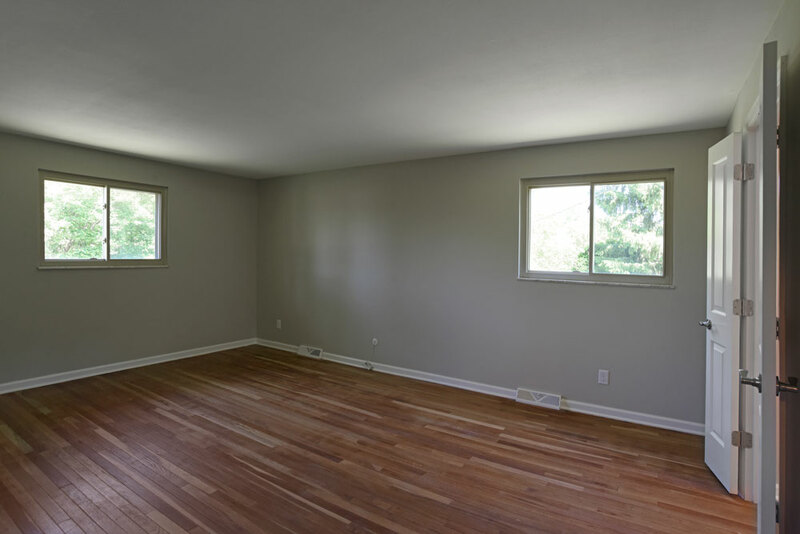 The remodel on this house included new hard wood flooring and paint throughout the entire property. 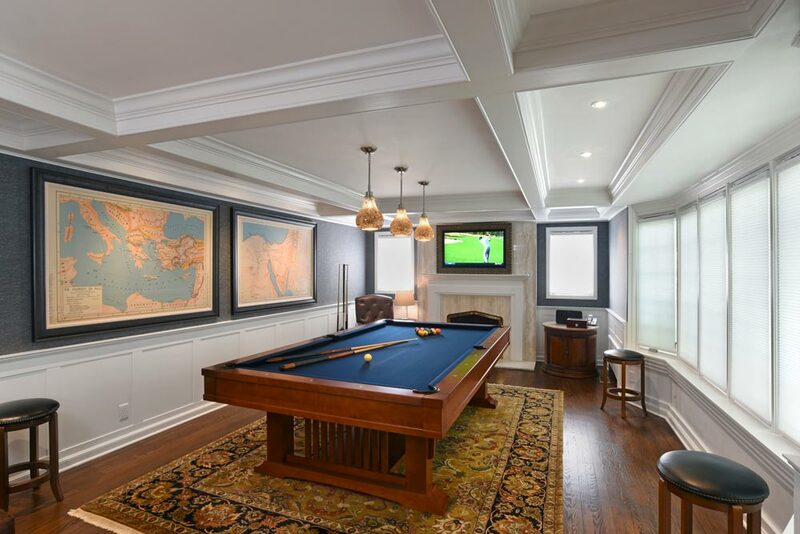 The new entertainment room includes a custom dry bar and countertop for making cocktails. 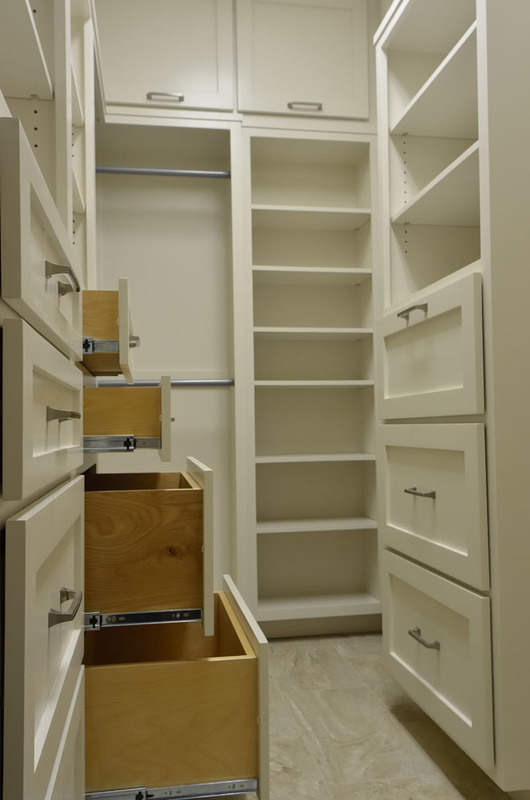 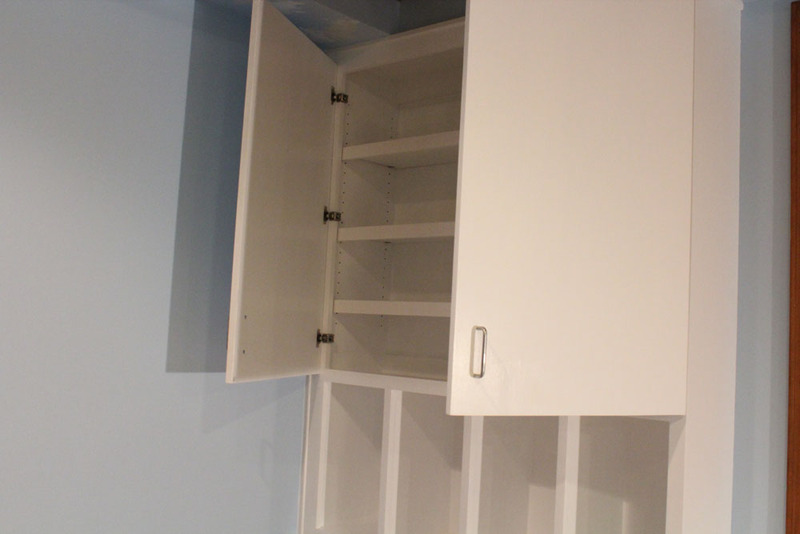 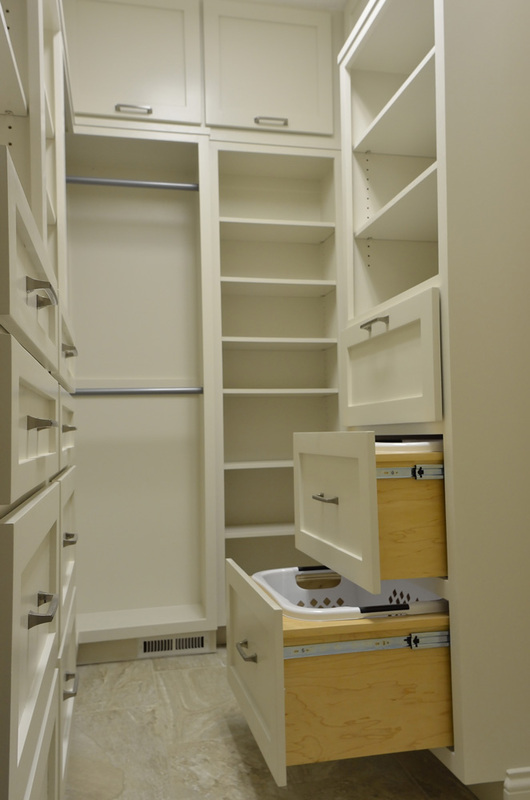 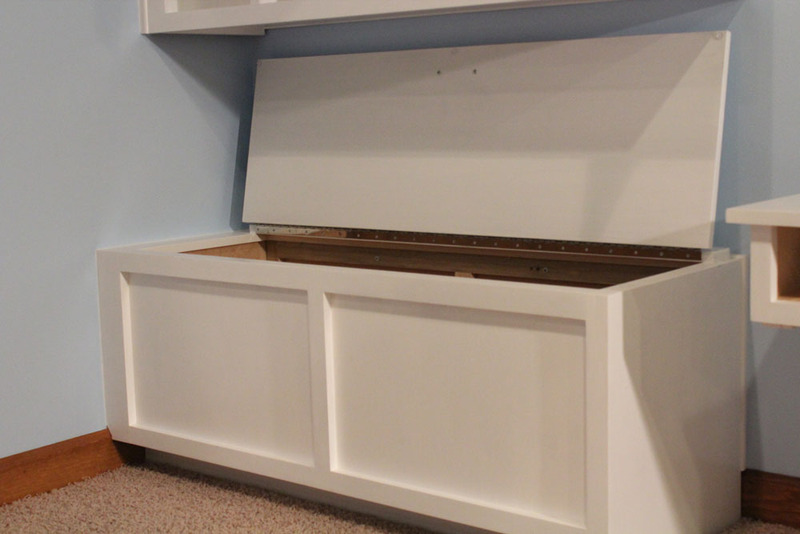 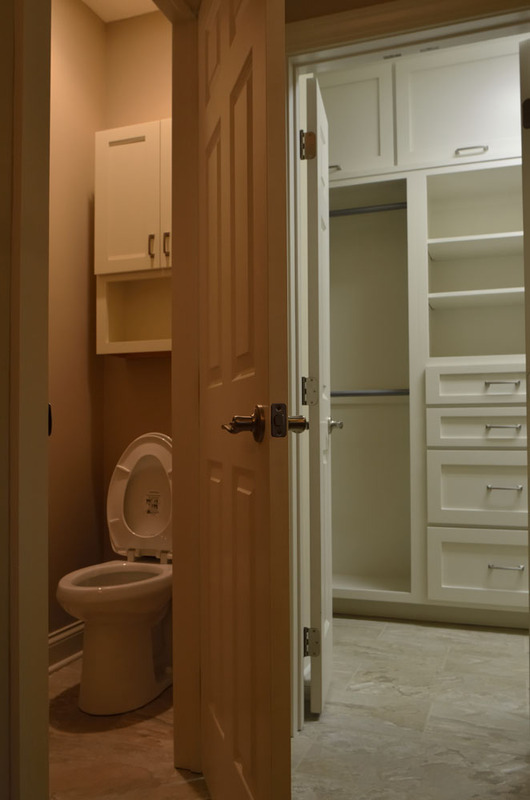 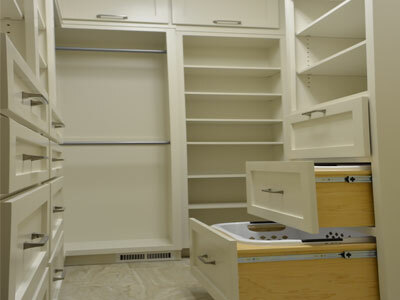 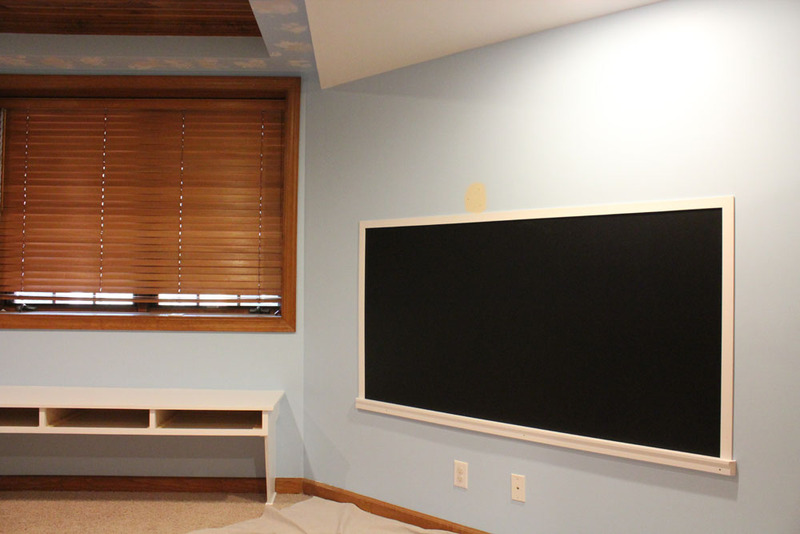 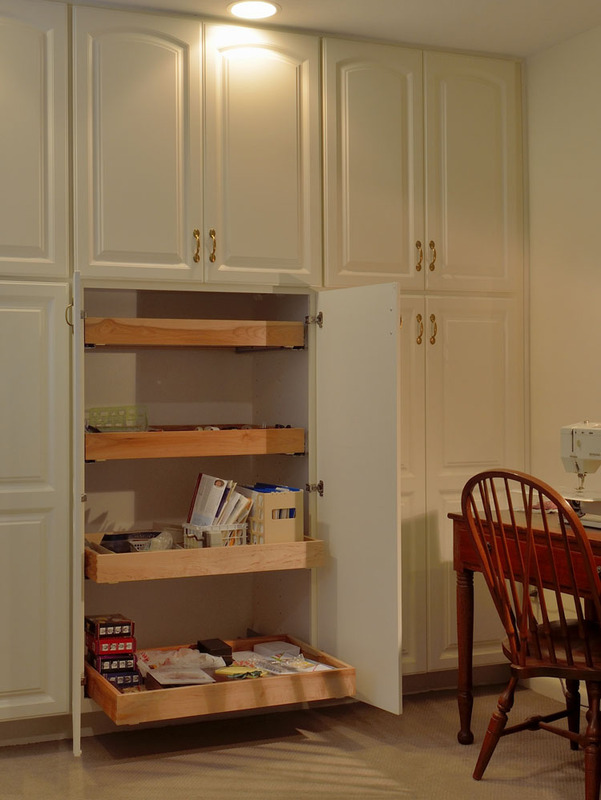 Cabinets were also installed in this office with custom draws and storage space suited to the individual’s needs. 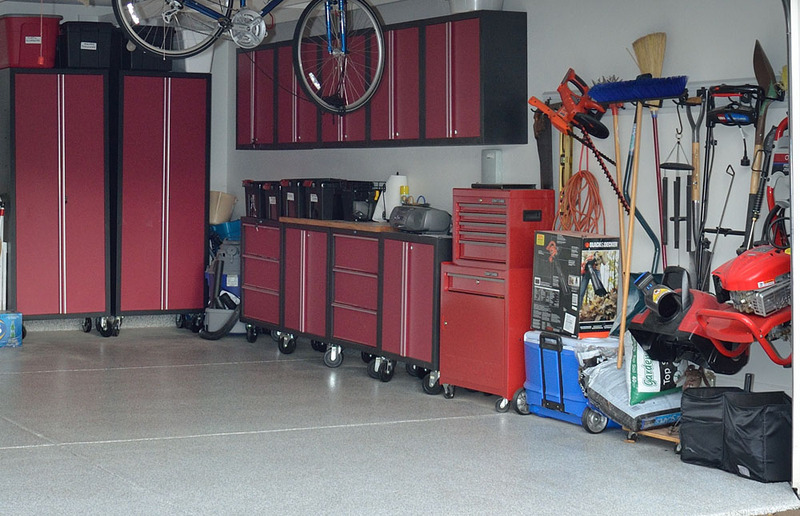 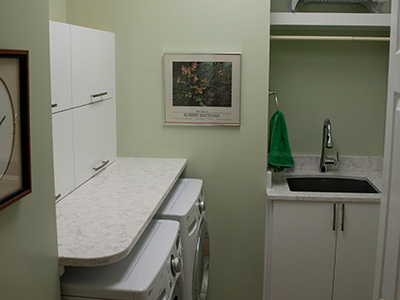 This once dark and damp laundry room has been upgraded to fit the family's needs and wants. 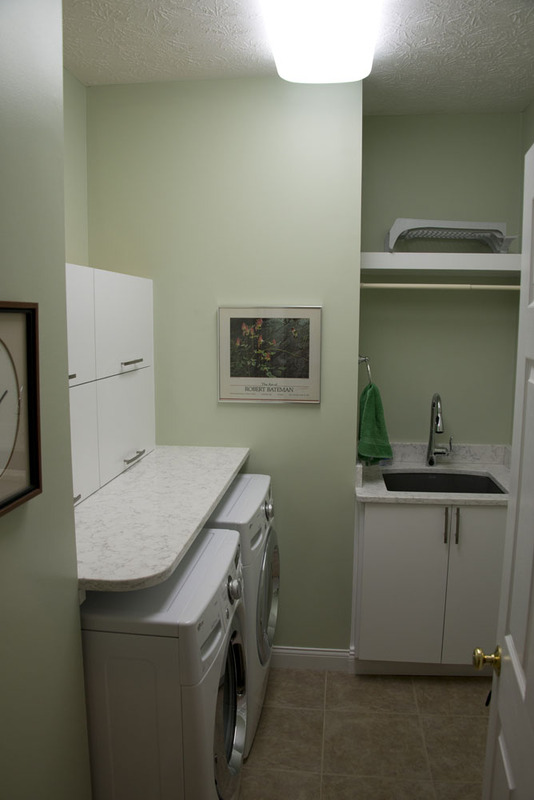 The laundry sink, cabinet, and countertop now sit comfortably in this upgraded space with new appliances and extra storage. This house has had a complete makeover in preparation for it to be put on the market and sold. 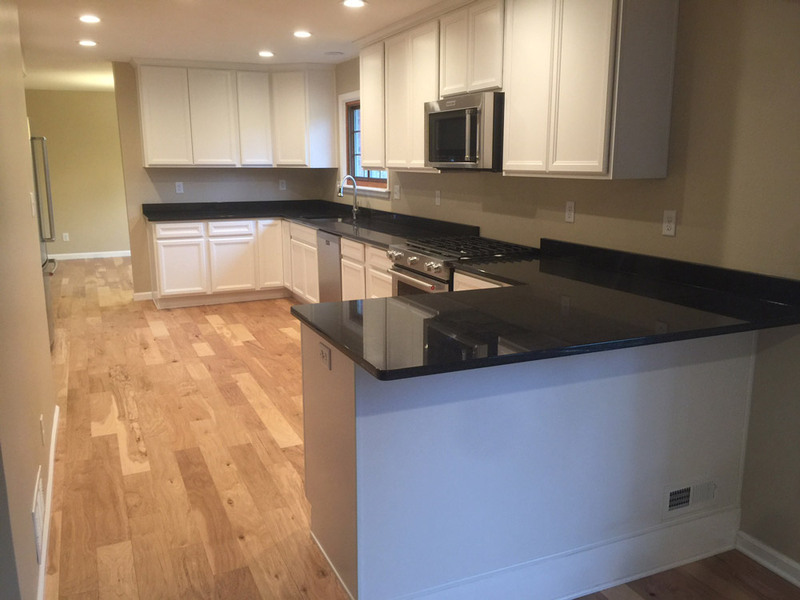 It has been completely overhauled and now includes a new kitchen, complete with granite countertops and new stainless steel appliances, as well as new bathrooms and a finished basement.